Multitasking comes easy to Kelsi Graham. 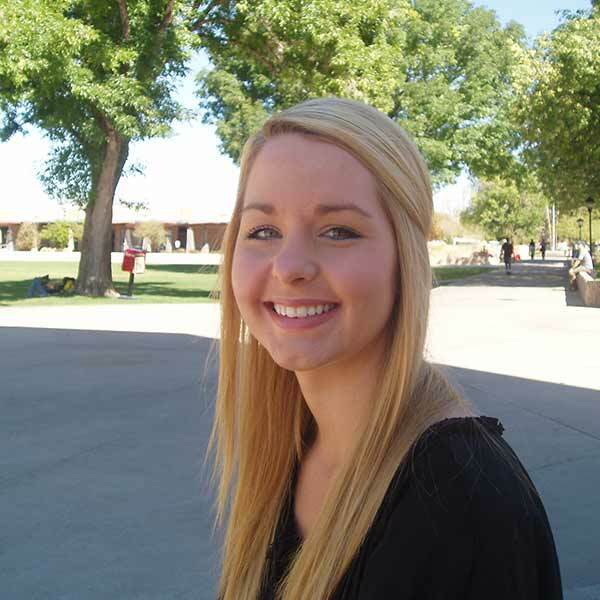 In addition to her full-time studies at Mesa Community College, she works part-time at a resort and helps her mother with an online home business. Kelsi goes on to explain that she knew while in high school that she was going to need other financial assistance resources besides her parents to help fund her education. She is the first person in her family to attend college and sees herself as a role model for the rest of her family and the friends that she left behind in Pinetop, Arizona. She encourages both friends and family to attend community college because, not only does it save students an extraordinary amount of money, it gives them a personalized educational experience within smaller classes. Kelsi summed up her feelings with great enthusiasm. “I am so appreciative and grateful to the Maricopa Community Colleges Foundation and all of the scholarship opportunities that [it has] offered to me. Because of it, it has tremendously helped lift the financial burden off my shoulders.” Kelsi has plans to attend the W. P. Carey School of Business at ASU when she finishes her studies at MCC. Her goal is to own a business. No doubt, with the business acumen and energy of this young woman, any endeavor will be successful.